Toro Rosso boss Franz Tost thought his team would have "many more problems" with Honda this season and backs the engine manufacturer to close further on its Formula 1 rivals. Honda partnered with Toro Rosso for 2018 after splitting with McLaren and has made enough progress to convince Red Bull to use its engines next year. Red Bull reckons the latest Honda upgrade brought it at least level with Renault in the engine pecking order, although there have been some setbacks with the new specification. "They have so far done a fantastic job because they have improved the performance a lot, and also the reliability," said Tost. 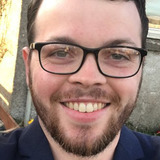 "They have exceeded expectations with regards to reliability, because we thought we would have many more problems but to be honest we haven't had any major issues. "And also regarding the performance, because with the new specification we are not far away from the top teams." Honda has reverted to its previous engine specification for the Mexican Grand Prix, because of the high-altitude conditions, and has also identified a concern regarding the assembly of some of its latest-spec engines. 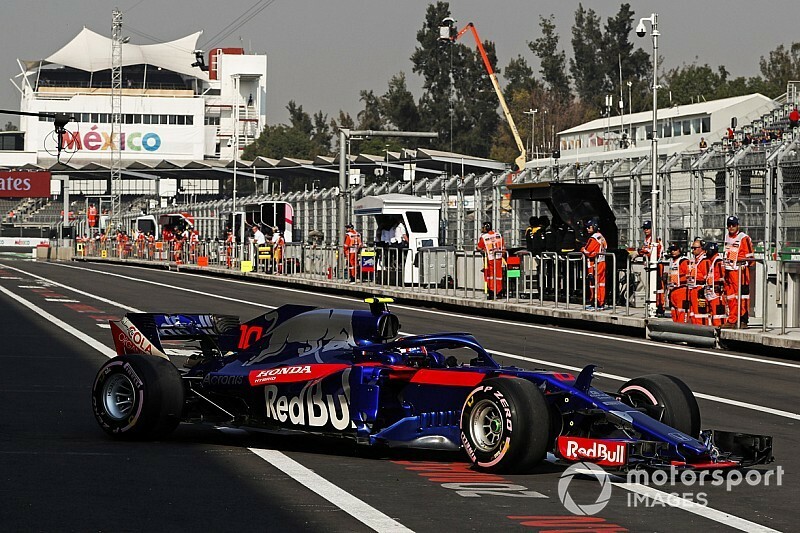 The assembly problem has led to a 15-place grid penalty for Pierre Gasly in Mexico for strategic reasons, the latest in a run of Honda changes. Gasly and Brendon Hartley have used more than double the three-per-season allowance of combustion engines, turbochargers and MGU-H components and two-per-season allowance of MGU-Ks, control electronics and energy stores. "I'm convinced that Honda will improve during the winter months," said Tost. "They are doing a very good job, they are pushing very hard. "How many power units then at the end will be used next year? I don't know yet. "For me, three power units is wrong from the regulation side. "We should have the possibility to get more but that's currently within the regulations and I hope that this will change from 2021 onwards." 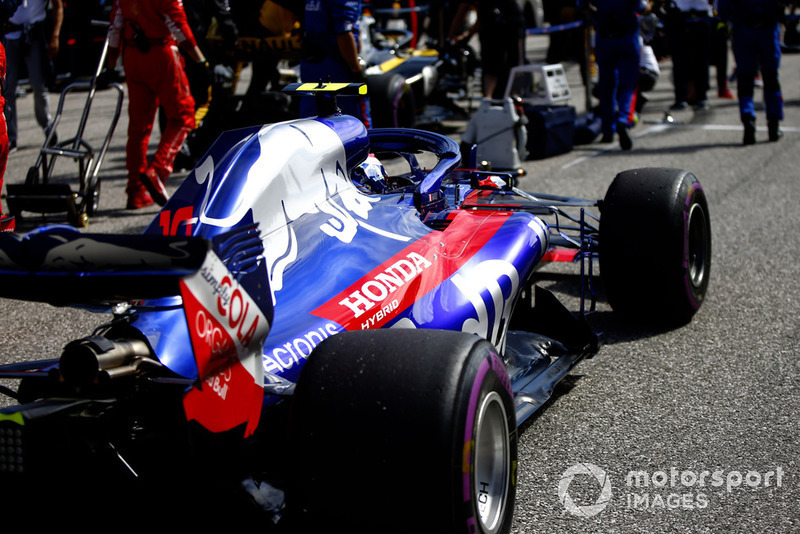 Gasly and Brendon Hartley have used many more engine components than their rivals this season, sometimes for tactical or experimental reasons. Sometimes Toro Rosso's midfield rivals say they do not have a problem with that policy. "The reason we got the three is for cost-saving reasons," said Racing Point Force India team principal Otmar Szafnauer. "Powertrains are expensive, so we wanted to bring the cost down. "Honda started a little bit late but I think they're catching up fast. "I would prefer to stay at three because we buy our engines and they're not cheap so the lower the cost the better." Sauber boss Fred Vasseur believes Honda is in the final stage of its recovery since rejoining the F1 grid in 2015. "Ferrari, Mercedes, Renault are now able to deal with it and I think Honda will be able to do it soon," he said. "Now they are in a strange situation in the last part of the season. They are probably more preparing the next one rather than anything else."